As we wade deeper and deeper into the territory of Turkish verbs, you are probably beginning to notice that many sentences are naturally more compact in Turkish than when explained in English. This will be especially true in the following lesson, which focuses on a few more verb endings and in particular a verbal mood that we can refer to as "optative". The singer in this lesson is Ahmet Kaya, a native of Malatya who moved to Istanbul for work only to become one of the most prominent figures of Turkish music during the 1980s. The song, entitled "The Interrogators (Sorgucular)", was released in 1988 and reflects the increasingly political tenor that his music gained throughout that decade. The 1980 military coup, remembered for its brutal suppression of leftists and other political movements, was particularly harsh in Eastern Turkey where the police and military cracked down on Kurdish politics. Many people were arrested, tortured, and disappeared as a result of repressive measures. This song singles out the interrogator, i.e. the one who would typically question detainees brought in under suspicion of political activity. Ahmet Kaya's appeal as a singer in Turkey was very broad, as the body of his work encapsulated the feelings of not just leftists or workers but a wide segment of society during the 1980s and 90s. However, he ultimately became the subject of intense controversy when he declared during a music awards ceremony in 1999 that he would release a music video in Kurdish, which he spoke natively in addition to Turkish. Although other artists had recorded in Kurdish over many decades, Kurdish language had been pushed very deep underground during the coup years and broadcasts in Kurdish were still forbidden at that time. 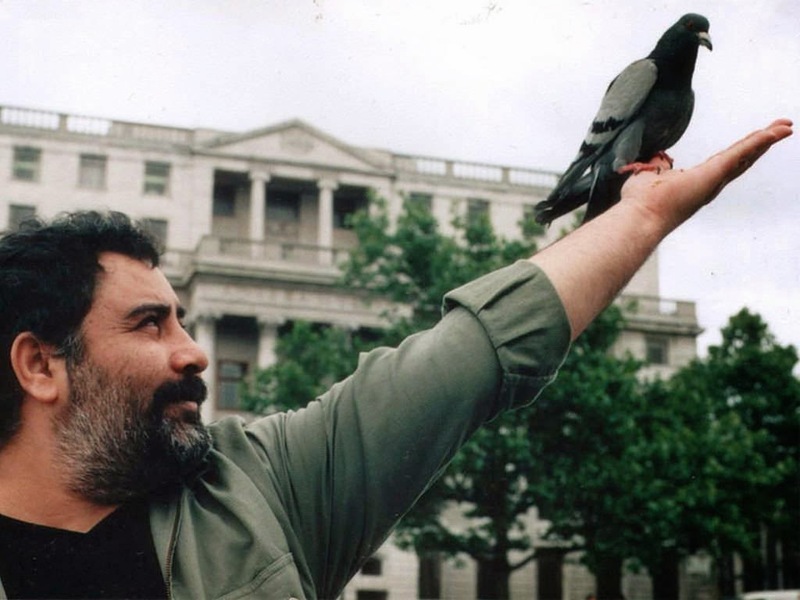 Much to Ahmet Kaya's chagrin, many of his peers were hostile towards his wish to record in Kurdish, and the pop singer Serdar Ortaç is implicated in particular for a public smear campaign against Ahmet Kaya that took place in 1999. Meanwhile, Kaya was dubiously charged with crimes including support of the PKK (Kurdistan Workers' Party). Just months after his initial announcement that he would release a Kurdish-language music video, Ahmet Kaya fled to France. He died a year later of a heart attack in exile at the age of 43. Ahmet Kaya's saga has been viewed as particularly tragic given that not long after these incidents and his death, the restrictions on Kurdish language were lifted. Today, Turkish Radio and Television or TRT, something akin to BBC in the UK, even has a channel TRT 6 that broadcasts in Kurdish. Ahmet Kaya has once again become a positive symbol for many in Turkey well beyond the Kurdish community, though he is still a polarizing figure for some. Within this context, the lyrics of "Sorgucular" become all the more poignant. Recorded more than a decade before the eventual controversy, he refers to "those who I had embraced as friends" who betrayed him, also indicting those who interrogate and accuse as well as those who see what is happening but dare not say anything. However, he indicts nobody using the word "you". Rather, the entire song is structured around the verb "utansın (may they be ashamed)", which makes use of the 3rd person optative tense. In English, the 2nd person imperative command is used to express that we want someone to do something. However, no verb tense exists for the third person. Instead, we have constructions like "may he" or "let her" to convey this notion. In Turkish, there is a verbal ending -sin which performs this function. In the song, "may they be ashamed" or "utansın" is derived from the verb "utanmak" meaning "to be ashamed" or "to be embarrassed". Note that the subjects of most of the iterations of "utansın" in the song are nouns made using the -en/an suffix covered in Lesson 9. We should also make note of the -ip ending, which is used in a sentence or clause containing two verbs to convey a meaning similar to "and". See for example how "dönüp arkasına bakan" or "the one who turns his back (arkasına dönmek) and looks (away)" contains two verbs: dönmek (to turn, to return) and bakmak (to look). Likewise, "bilip de söylemeyen" is "the one who knows but does not say". There are also a few tricky constructions in this song. Make sure to read the translation and explanations below to unpack some of them. The word "diye" has the meaning of "saying" but also takes on other meanings such as "as" or "saying (that)". Here "aç bırakmak" means "to leave hungry" or "to starve". Note that he does not need to say "değilim" because of the verb on the end of "işçi-yim" afterwards in the sentence. Let's look at "Onurlu bir kavganın neferiyim". You can see it is comprised of "onurlu bir kavga (an honorable struggle" and "nefer (soldier/individual)". Note that in order to make it "the soldier of an honorable struggle" the genitive -ın (here with helping "n" to make "nın") is added to "kavga" and the possessive suffix -i is added to "nefer". Finally, to say "I am", you add the -im (here will helping "y" to make -yim)". Now try to figure out "düşmanımın eceliyim". I'll break it into pieces for you: düşman-ım-ın ecel-i-yim. Here, "bilmek" can be connected to "söylemeyen" using the -ip ending even though "söylemeyen" already carried the -en ending. Yes, Turkish can do that. Your grammar is starting to get pretty advanced, so I hope by this stage you're learning how to type as well. If you're still struggling with the typing, switch over to the Turkish keyboard and play this Quizlet Space Race game below before moving on to Lesson 21: What We Did Under that Tree.